Daniel Sands is a doctoral student specializing in Strategy and Organization Theory in the Department of Management and Organizations at New York University’s Leonard N. Stern School of Business. Daniel’s research focuses on how third parties affect market outcomes. His work addresses areas such as the social construction of markets, competition, evaluation, valuation, and innovation. He has a recent publication in Strategy Science, and regularly presents his research at international conferences hosted by organizations such as the Academy of Management (AOM), Strategic Management Society (SMS), European Group for Organizational Studies (EGOS), and the Society for the Advancement of Socio-Economics (SASE). Daniel Sands’ teaching experience at NYU Stern extends to both graduate and undergraduate level instruction. He has served as either the lead instructor or as a teaching fellow for courses such as Strategy, Data Driven Decision Making, Management and Organizations, and International Business Studies. Daniel Sands received a M.A. in Quantitative Methods in the Social Sciences from Columbia University with a focus in Economic Sociology. He received both a B.S. in Business Administration and a B.A. degree from the University of Arizona where he quadruple majored in Economics, Political Science, Finance, and Accounting. 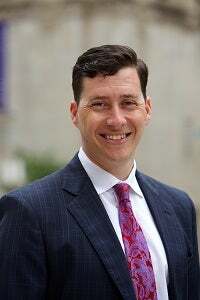 Prior to joining NYU Stern, Daniel Sands was an Officer in the United States Army. His service includes a deployment to Afghanistan as an Infantry Platoon Leader during 2011-2012. Most recently, he served as the Commander of Officer Candidate School (OCS) for the New York Army National Guard. He is a graduate of the U.S. Army Ranger School, Army Airborne School, and had been designated as a Distinguished Military Graduate for the 2009 Commissioning Year.